To duct or not to duct – what type of range hood should I purchase? While there are hundreds of different styles, forms and features to choose from when it comes to a kitchen range hood, there are basically two types – ducted or ductless (recirculating). A ducted range hood will exhaust the air through a grease filter then to the outside of the home through ductwork attached to the range hood. A ductless range hood will pass the air through a grease and odor filter inside the hood and recirculate the air back into the room. Now, which is better? Without a doubt a ducted range hood is far superior to a ductless one. Ducted range hoods will completely remove the contaminated air from the home and provide much better indoor air quality. So why would anyone use a ductless range hood. There are two reasons why. The first reason is in certain applications running ductwork to the outside is just not logistically possible. This is especially true in large apartment/condo complexes. In these situations having a ductless range hood is better than not utilizing anything. The second reason is not as good of one. Installing ductwork in a home is an added cost, so unfortunately if the builder or home owner is trying to cut costs a bit, they will not take the extra step to run the ductwork. The good news is that if this was the case, ductwork can be added fairly simply if you have attic access. Easy ways to tell if you have ducting or not are to first open the cabinets above your hood. If you see ductwork, you have a ducted range hood. The other way to tell is to turn your range hood on and feel if any air is blowing back into the kitchen. If it is, you have a ductless range hood. 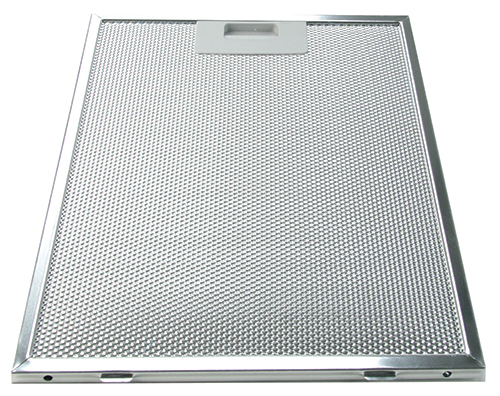 If you are like a lot of people, when it comes to cleaning the filters of your kitchen range hood it always seems to be on the to-do list and never seems to make it to the done list. All range hoods that exhaust air are going to have some type of filtration system. If the air is being exhausted outside, they will have a grease filter. These types of filters can be easily cleaned. While it will depend on how often the range hood is used, we suggest they are checked and cleaned at least once a month. As grease and debris builds up on the filters it can limit the amount of air coming through the range hood and cause the hood to run louder and less efficiently. By maintaining your filters, you can ensure that your hood is running at its peak performance level.You should always refer to your owner’s manual for specific cleaning procedures and always turn the power off to the range hood before starting any maintenance. To clean the filters remove them from the range hood and use a mild detergent with hot water. In years past, grease filters could be washed in a dishwasher. A change in the chemicals used in most dishwasher detergents no longer allows filters to be put into the dishwasher. The reason is that most filters are made of aluminum and the new chemical configuration of the detergents can have a reaction with the aluminum causing spots. While it doesn’t affect the performance of the filters, it does not look the best. If your filters are made from materials such as stainless steel then they can typically go into the dishwasher.If you have a range hood that recirculates the air back into the room, they will typically have a combination odor and grease filter. The odor filter consists of some type of charcoal filtration. Unfortunately, these are not able to be washed and need to be replaced. 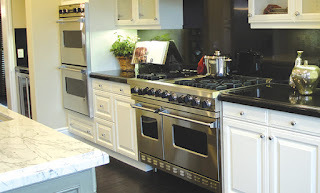 Your kitchen range hood is an important component of your home’s indoor air quality. Keeping it running efficiently and effectively is critical. To learn more about other helpful tips visit the FAQ section at www.airkinglimited.com.